Let's start at the beginning. If your car won't even turn over and start up, then the rest of the problems on this list won't come into play. The simplest cause of this issue is a dead battery, which you can remedy with jumper cables, and the instructions that come printed on their packaging. If jumping the car doesn't work, you may have a larger problem with your ignition system. It's advisable to take your car into the shop at this point because finding the root of the problem will likely involve removing a few parts from your engine. 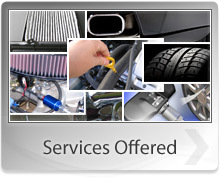 Whether it's dead spark plugs or electrical problems, it's better to have it dealt with by a professional. Likewise, engine surging where the revs rise and fall can mean a problem with your fuel injectors, which are fairly deep within your motor. It's unwise to drive around with a surging engine, as this burns more gas and can cause unintended acceleration. 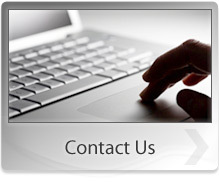 Drivetrain issues are another major issue requiring professional attention. Everybody fears the dreaded transmission repairs, so if certain gears won't engage or they shift at the wrong times you should definitely take your car to the qualified mechanics here at Frank's RV Repair. Your brakes are vital to keeping you safe on the road and should definitely be cared for by a professional, unless you're absolutely sure you know what you're doing. Common signs of issues with your car's braking system include squeaking or squealing when the brakes are applied, or the brakes feeling spongy and failing to slow your vehicle properly. Squealing brakes are caused by the brake pads wearing through the pad surface to the metal underneath. At this point the metal behind your brake pad is coming into contact with the brake rotor. This can be disastrous and produce unwanted heat, reduced stopping power, and cause you to have to buy new rotors as well as the relatively cheap pads. Spongey and weak brakes can mean there's a problem with your master cylinder, which converts the mechanical pressure of you pressing the pedal into hydraulic pressure to apply the brakes. In either case, it's best to have your brakes seen to by the professional mechanics here at Frank's RV Repair. There are instances where car maintenance is simple and easy, but if you notice any of these issues developing, it's best to take your car in for a qualified mechanic's checkup so the problems can be remedied before they turn into much more serious issues. 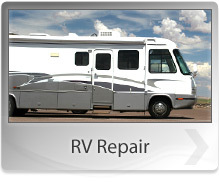 Frank's RV Repair has the tools and expertise to have you safely back on the road in no time at all.